Yay! We finally had snow today. Not much, just enough to turn the grass white but still it was pretty awesome waking up and realising it had snowed. 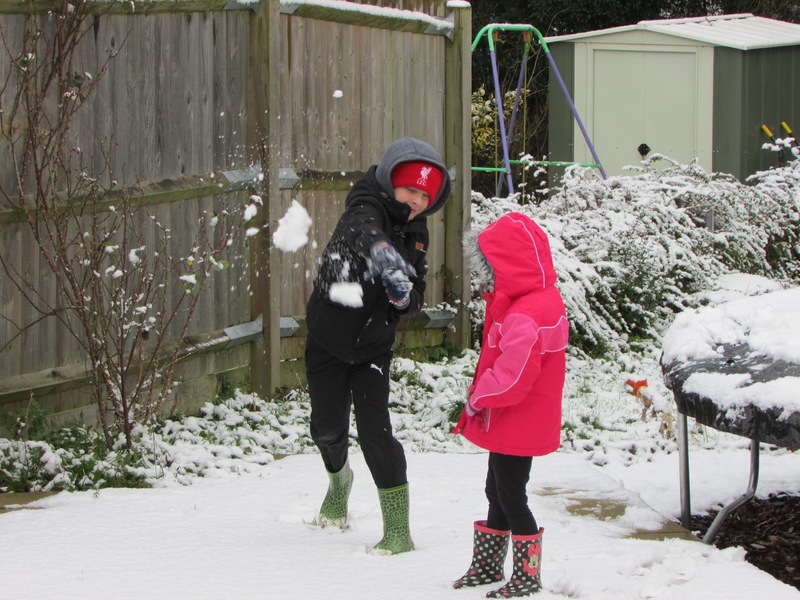 It seems to have been ages since we had any- and the little bit we got last year was on a school day and unlike previous years we weren’t allowed to go out and play in it at all. I think we all felt quite sad that day when we came out of school and it had all turned to slush and ice. I definitely wasn’t going to miss out this year though! Lottie has been a bit poorly this weekend but we all wrapped up warm and descended on the back garden soon after breakfast. We made footprints and threw snowballs at Dad and then we realised although there wasn’t that much snow on the ground there was loads on the trampoline cover so we started to see if we could roll a big enough snow ball to make a snowman- somehow we managed to get enough for a small body and while we patted that down Mum started gathering snow for his head. Sadly for Bob (our snowman) his first head exploded when we gave him a nose but the second one worked much better. 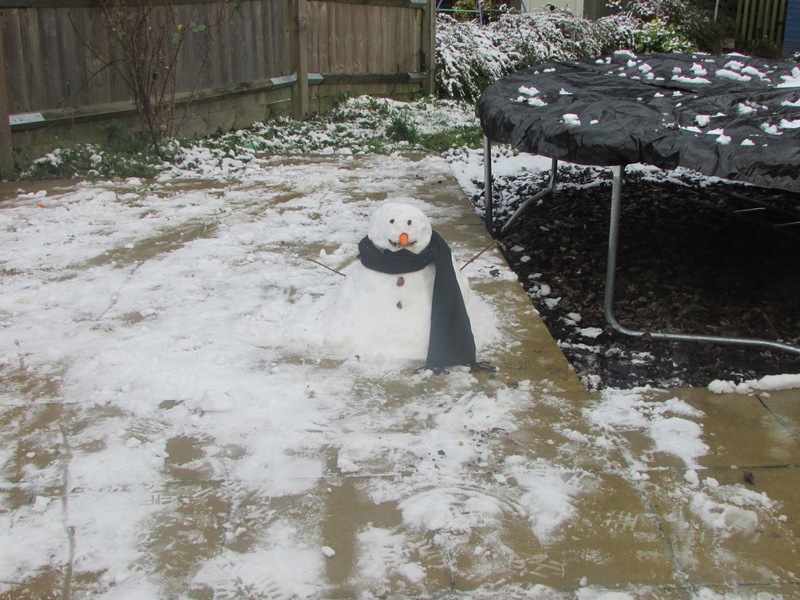 He has been wrapped up in a scarf and although a bit small was happily guarding the garden. Baby Sam found him very funny. Sadly just a few hours later Bob now looks a little melted around the edges and we don’t think he will last very long… but hopefully he will still be here tomorrow to make me smile before I go off to school. Of course after the snow was hot chocolate and marshmallows for everyone- yum! Did you have snow where you are? We would love to see your pictures- especially if you managed to get building too.